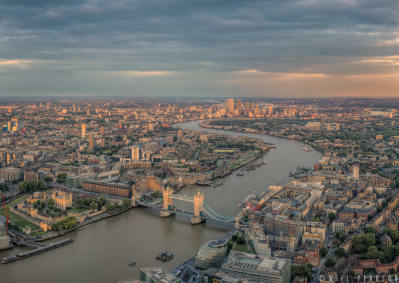 As the UK’s tallest building, The Shard offers remarkable views across the whole of London. Will shot from the top of the Shard whilst the building was under construction. Many of his images were taken from the crane that was constructing the pinnacle of the building, a view that can never again be captured as it is now all glazed. 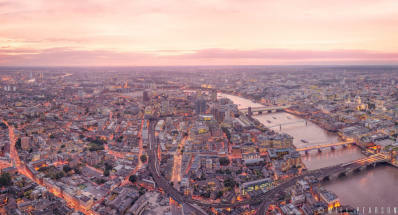 This collection contains View from the Shard images. Most of these panoramas are captured at an incredibly high resolution making them perfect for large format printing. 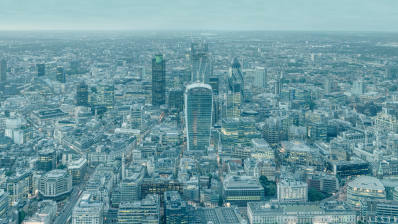 If you can't find View from the Shard photographs that suit your needs please contact the studio to discuss commissions.